Building Maintenance is essential when work needs to be carried out on a property and when the structure itself needs to be kept in the best condition possible at all times. Balmore have been in the construction and building repair industry for almost 30 years, and over those years, we have added more and more services to our roster, one of these very important services is building maintenance. From the list, you can see that our workmen at Balmore are skilled, qualified and very experienced when it comes to all kinds of repair, building maintenance and decoration. Roofing is our specialty, but over the years our customers have asked and suggested that we offer a wider range of services to the general public all over Scotland. We took this advice on board and now we apply all the skills and services into our building maintenance service. There really isn’t any property we cannot improve and bring it past it’s former glory. When carrying out building maintenance, we at Balmore are with our customers every step of the way. Often prospective clients are concerned that building maintenance work will not be carried out the way they want. 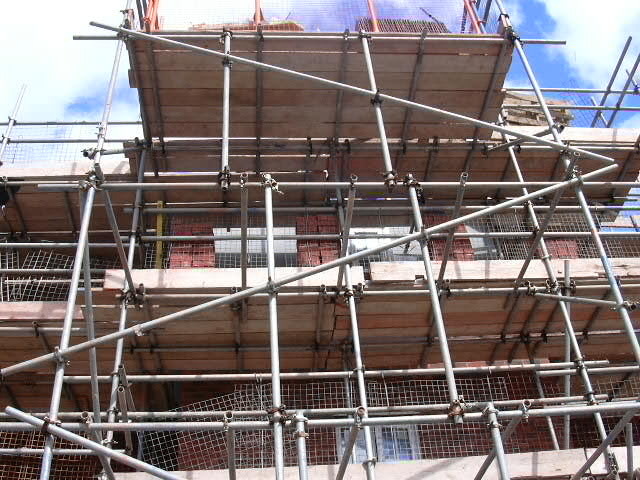 We understand this and subsequently we push communication as one of the most important factors in building maintenance. As our customer, you can plan with us at Balmore as to how exactly you want your property to be repaired, decorated and maintained. Also any particular specifications you make will be top priority when carrying out work as we want to make your property suit your vision perfectly. Building maintenance requires a lot of ongoing work and reliable workers, luckily these are what Balmore shine for most. Avoid under-qualified cowboy builders who will cut corners and overcharge you. Have the job done right first time which will give you peace of mind and save you more money in the long-term!